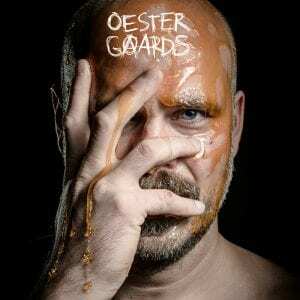 Background/Info: We here welcome the debut work of Oestergaards. This Swedish artist started organizing festivals and finally started to compose his own music. 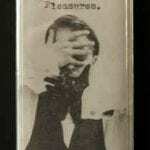 “Rötterna” (translated “Roots”) reveals 6 cuts and has been released on the good-old cassette format. 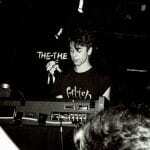 + + + : This is dark-ambient music getting us back to the real sense of what this music genre means. It’s dark, obscure, anguishing and revealing a strong visual appeal. The atmospheres are getting you into paranoia while some ghost-like voices are leading you to an imaginary climax of angst. It’s an overwhelming production, which especially on the B-side is slowly reaching its ultimate point of terror… but also revealing the talent of this new artist. – – – : This is a very efficient and great work so I don’t have real minus points! Conclusion: Sweden reveals a new dark-ambient talent, which will appeal for all lovers of the lost Cold Meat Industry period and/or current leading labels such as Cyclic Law, Malignant Tumor and of course Cryo Chamber. Best songs: “Nihilist”, “Ladan”, “Parad”.